There are countless reasons as to why you should run a marathon, but most of them fall along the same ones that why you should run any distance for that matter. Yet ultimately, the real reason you should cover such a long distance, whether in a marathon or half marathon, is that there is a magic behind it, somewhat associated with those with a superhero status. Whether you’re running a 22-kilometer half marathon or a 42-kilometer marathon, the feeling is the same, you feel invincible. Just when you’re the weakest with your legs about to collapse underneath you, you feel the runners high, and suddenly, nothing can stop you. In addition to the countless health benefits, self-confidence, defiance of one’s own limits, it’s mostly done for a good cause. Here is your ultimate guide to all the running events that will take place this year across the Arab World. The Egyptian Marathon, which will be held on the 24th of January, 2020, in the heart of Luxor is the oldest in Egypt with this edition being its 26th anniversary. It is the only AIMS-certified marathon in the country. The race which starts at Hawara Pyramid in Al-Fayoum city in Egypt and ends at the Sakara Pyramid in Giza will be held on the 15th of November, 2019. Being one of the longest races in the world, it was designed after Egyptologist Ahmed Moussa found an ancient pharaonic text on a rock telling of Egyptian soldiers who had to run the same distance in 690 BC. They did this to prove their physical fitness to King Taharka of Egypt. It is an amazing chance to do your favorite hobby while still being able to see the beauty of ancient Egyptian monuments which the race’s route spans. 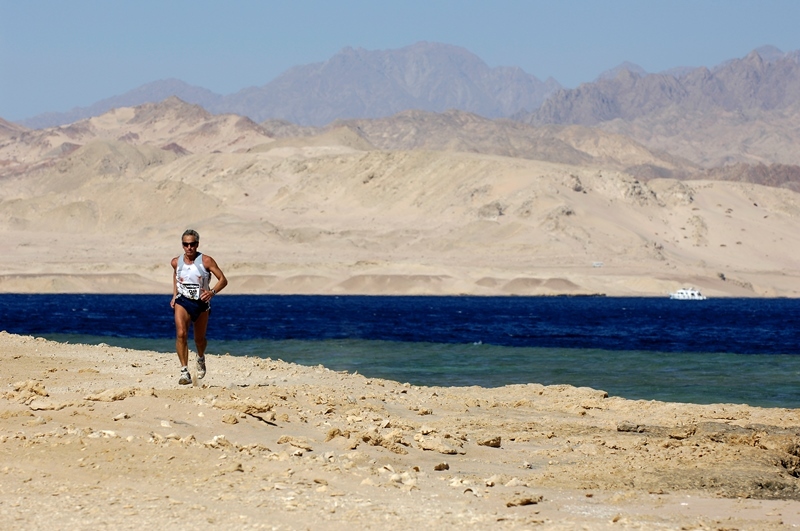 The 6th Sharm El-Sheikh Half Marathon will be held this year in March, but the exact day has not been announced yet. The half marathon begins at Um Marikha Bay and ends at Nabq Bay. The marathon will take place on the 15th of March, 2019, with Cairo Runners organizing the whole thing. They have planned a special route for us and they’ve decided to keep it a secret. Nevertheless, they hinted that it will be in the heart of the Egyptian capital and that we will get to see the downtown area. 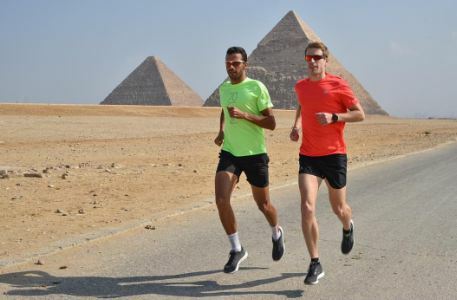 This one will be held on the 15th of February, 2019, inviting runners from all over the world to witness the beauty of the most iconic ancient Egyptian monuments; The Great Pyramids of Giza. The route will be around the Giza Plateau, which is home to the Giza Pyramids, the Sphinx, and a number of lesser-known ancient Egyptian relics. Starting on the 5th of October, 2019, The Wadi Rum Ultra (WRU) is a five-day marathon run in Southern Jordan that takes place once every year. The organizers always choose a route that brings out the beautiful and challenging aspects of the desert region, putting the competitors at the start of the journey of their lifetime. “This is one of the toughest footraces on earth and whilst the pain will subside, the friends that you meet and sense of achievement you feel will stay forever. The WRU is not for the fainthearted,” The organizers stated on their official website. 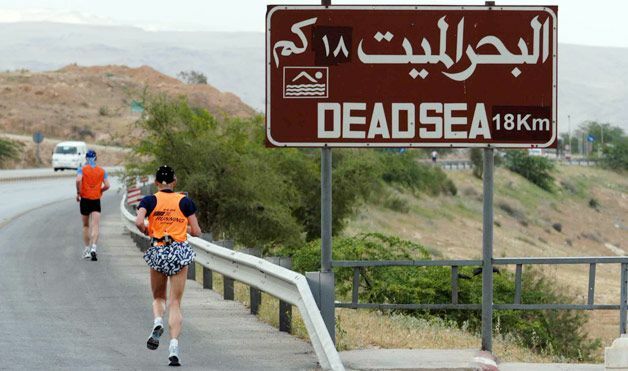 The Dead Sea Ultra Marathon is one of the most internationally-acclaimed runs in the region. It is held in Amman, Jordan, in April of each year for the cause of promoting athleticism among the youth and enhancing tourism in Jordan. The route is designed to test human endurance and to give participants a view of the beautiful Amman. Looking to combine running with coastal sightseeing? Red Sea Half Marathon is the event to go. The route goes through the beautiful Aqaba and the finish line is at the shoreline of the Red Sea in the Great Arab Revolt Square. The event takes place in December of each year. 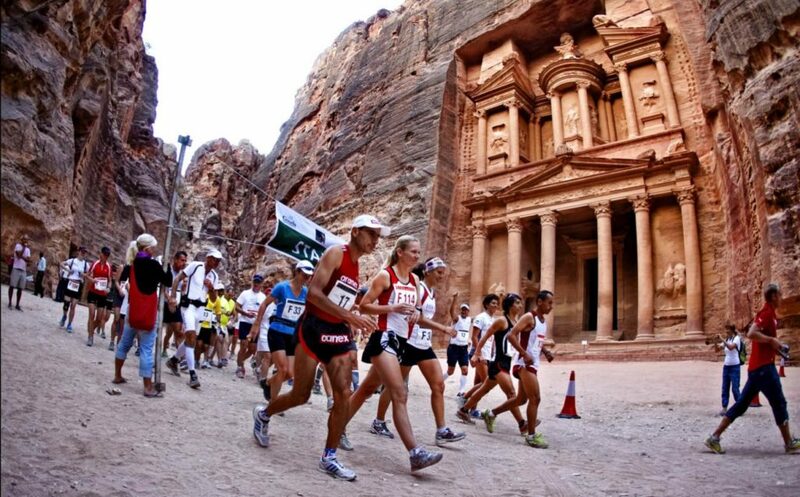 On the 7th of September, 2019, The Petra Desert Marathon will take place in the ancient city of Petra. 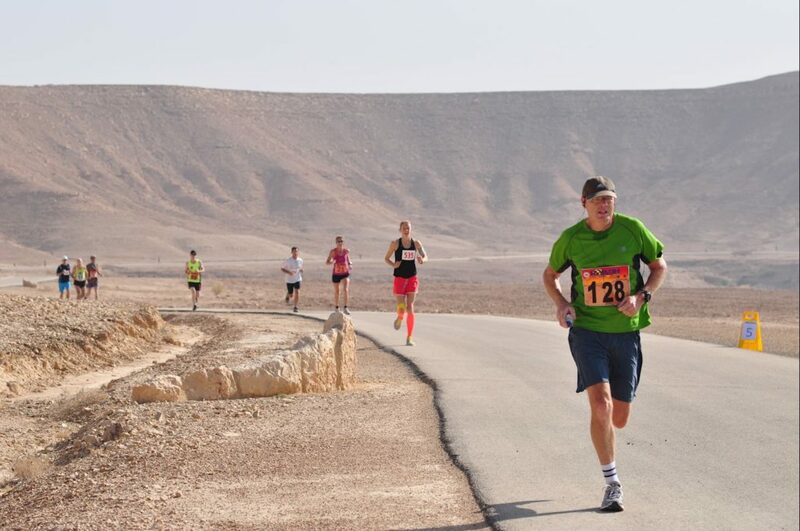 The route will take runners on a historical journey across the ancient tombs, mountainside carvings, and numerous caves, before heading off to the beautiful Jordanian desert. 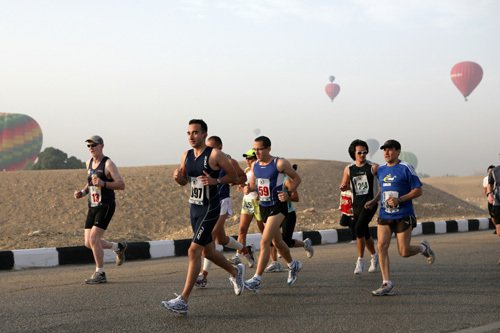 Also called the “Samsung-Amman International Marathon”, it is the largest of the three running events organized by “Run Jordan”, with Red Sea Half Marathon and Dead Sea Marathon being the other two. The tech giant, Samsung, has been sponsoring the event for quite some time now, and so its name has been added to the title of the event. 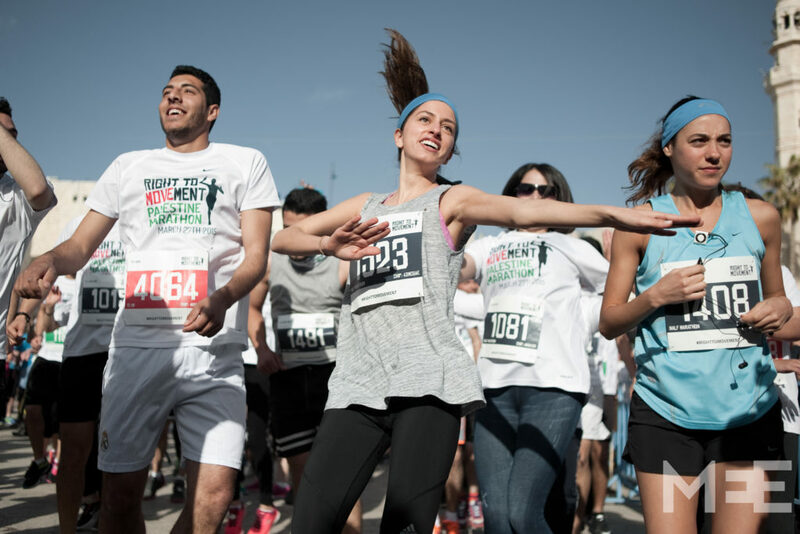 The run takes place in October of every year, and the route spans the beautiful downtown area, giving participants a close-up view of Amman’s historic landmarks. In collaboration with Blom Bank Lebanon, the Beirut Marathon Association is launching the 17th edition of Beirut International Marathon, which will be held on the 10th of November, 2019. The marathon is a celebration of good health, perseverance, as well as commitment. The route is set to take the participants on a tour throughout the beautiful city of Beirut. 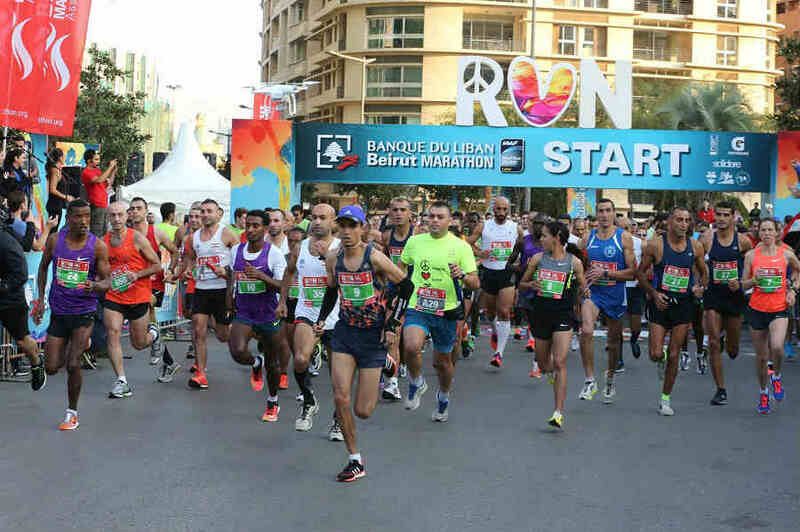 On the 31st of March, 2019, The Beirut Marathon Association will launch the 7th Saradar Bank Women’s Race, which is a women-only run of 10 kilometers. It is a call to action to the women of Lebanon to keep moving forward and rise for the challenges to come. The Palestine Marathon is set to take place on the 22nd of March, 2019 in the city of Bethlehem. The run is an international event attended by participants from various nationalities. They’ll get to experience the limitation of movement imposed on Palestinians as the route spans the few regions that Palestinians can move through freely. The event has no political agenda, only calling for the right of freedom of movement. Simply known as the Dubai Marathon, the event took place on Friday the 25th of January, 2019. The race began and ended on Umm Suqeim Road opposite to Madinat Jumeirah in the shadow of the iconic Burj Al- Arab. 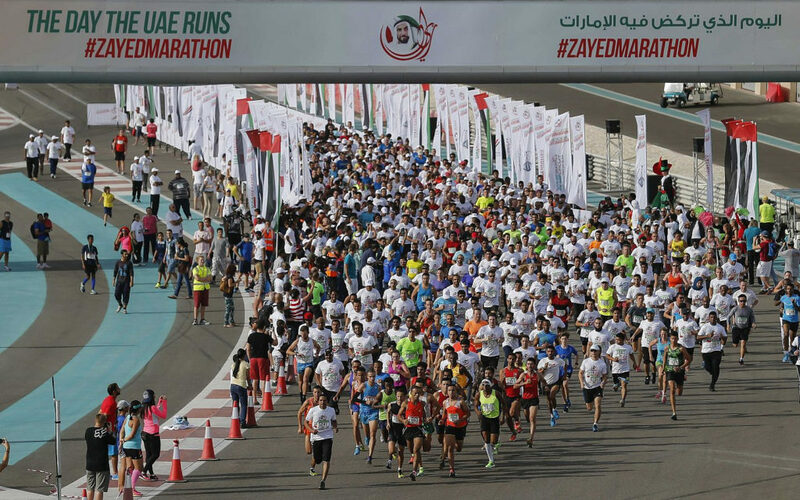 The Zayed International Half Marathon is a running event in the heart of Abu Dhabi; it was named after Zayed bin Sultan Al-Nahyan, the former ruler of Abu Dhabi and late President of the UAE. The run is destined to take place in March and its route would go through the beautiful capital of the UAE. On the 9th of February, 2019, the world’s fastest half marathon, Ras Al-Khaimah (RAK) Half Marathon, is scheduled to commence. The half marathon route starts and finishes in the same place on Al-Marjan Island. One of the main running events in Saudi Arabia is the Riyadh Half Marathon, which is held in February of each year. The route takes participants through the capital city and then its outskirts. Via Gulf Bank 642 Marathon. In Souq Sharq, a shopping center in the heart of Kuwait City, the 5th edition of Gulf Bank 642 Marathon is scheduled to take place on Saturday, 16th of November, 2019. The event is an invitation to anyone who loves running and wants a closer look at Kuwait’s beautiful landmarks. One of the oldest Marathons in the region, the Bahrain Road Runners Marathon was first inaugurated in 1979 to celebrate Queen Elizabeth II’s visit to Bahrain. The run is so old it predates the renowned London Marathon. This year’s edition of the marathon is scheduled to take place on Friday, 22nd of February, 2019, in Zallaq, Bahrain. 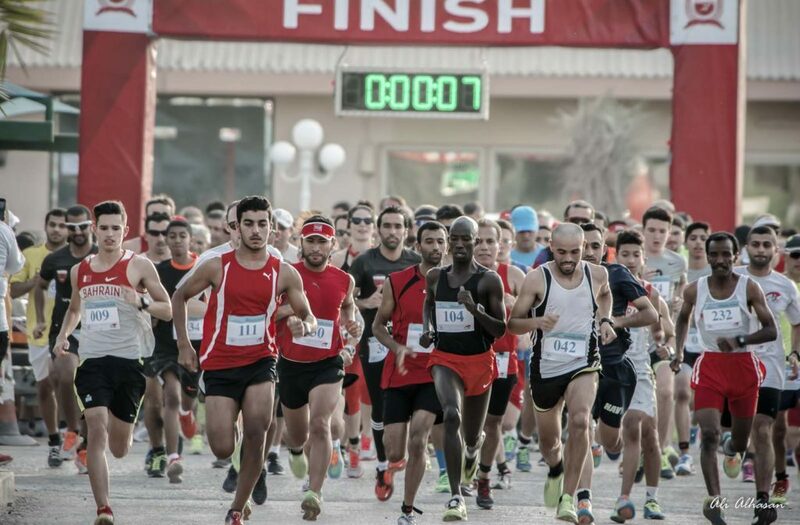 Perhaps a smaller version of the Bahrain Road Runners Full Marathon, the half marathon offers a chance to both professional runners as well as amateurs to take part in a beautiful journey urban Bahrain. The event takes place in January of each year and the next one is scheduled to be in January 2020. Held in October of each year, the Casablanca Marathon is a free run across the beautiful Casablanca city in Morocco. The event aims to show participants how beautiful the city is while promoting athleticism and good health at the same time. Priding itself with being the first trail race event in northern Morocco, the Ultra Trail Chaouen is a yearly multi-marathon running event that will take place on the 20th of April, 2019. The run is composed of three separate races; the first is an 85-kilometer trail race, the second a 42-kilometer marathon, and the third a 16-kilometer run. The event takes place in the out-worldly Chefchaouen city, having its route run through the Talassemtane National Park. Scheduled to take place on the 27th of January, 2019, the 30th edition of the International Marathon of Marrakech is one of the most prestigious marathons in the whole world. More than 8,500 participants take part in this beautiful cultural, as well as rejuvenating, journey through the streets of Marrakech. It is nicknamed the toughest foot race on earth, and perhaps it is. For all we know, it is the most challenging on this list. Marathon des Sables is six-day, 251-kilometer ultra marathon. It is six times the distance of a regular marathon and is held on a yearly basis in the Sahara Desert, South of Morocco. The 34th edition will be held on the 5th of April, 2019. When Translated from French, its name means “The Green Marathon”. Marathon Vert d’Agadir aims to spread awareness about the human damage to the environment and how by living green, we contribute to environmental well-being. 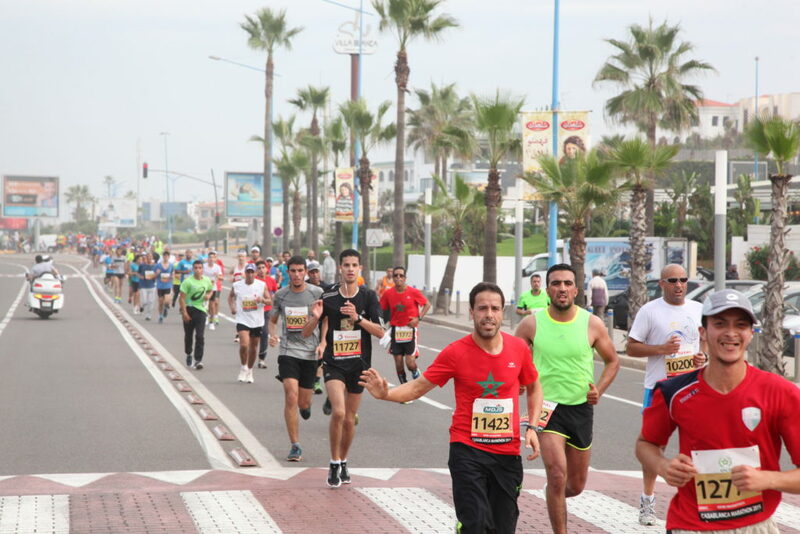 The 7th edition of Marathon Vert d’Agadir is scheduled to be held on the 21st of April, 2019. In the heart of ancient Carthage, the 6th Carthage Race International Marathon is scheduled to take place on the 24th of February, 2019. Through this marathon, you will get to discover the rich history of Tunisia and the heritage of beautiful Carthage. 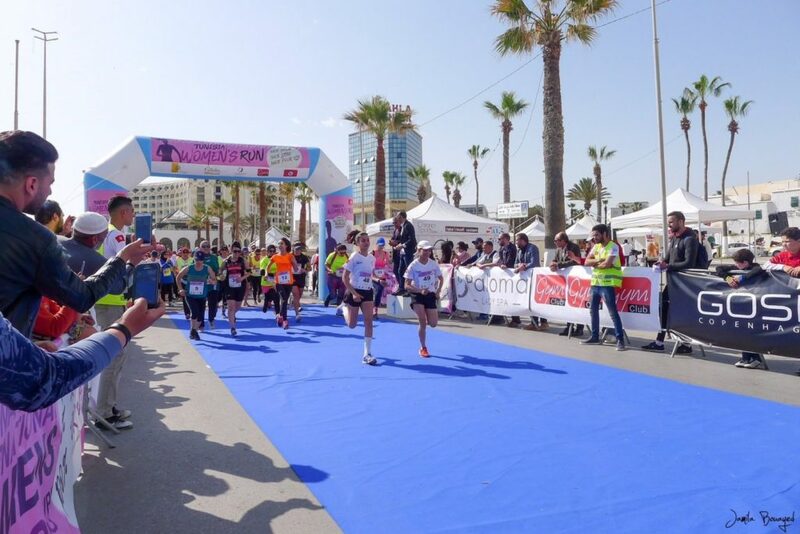 A women-only running event in the city of Sousse, the Tunisia Women’s Run Semi-Marathon will occur on the 9th of April, 2019, with the motto “100% Women. 100% Free. 100% For Her”. The ten and five kilometer races start and finish at Boujafar seaside. The run is aiming to empower women from all over Tunisia to move forward and do the impossible. Inaugurated in 1986, Comar Marathon has become one of the most anticipated running event in Tunisia. The marathon attracts about 2500 athletes from all over the globe and is well-organized to meet the growing expectations. The event is composed of three runs; a marathon, a half marathon, and a run for all, and will be held this year on the 1st of December, 2019. With every edition, the event becomes more and more international, yet more and more linked to the local community. Thus, promoting tourism and taking pride in the country’s heritage. WE SAID THIS: Don’t miss Dubai Set to Build the Region’s First eSports Stadium!